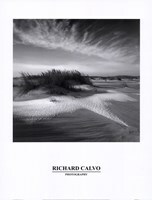 Richard Calvo is an artist who received recognition in the mid 60’s and his photography works have been winning numerous many awards since. He earned the fame as a result of his extensive of U.S. military activities in Vietnam. 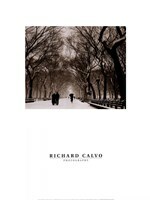 Calvo received journalist education, but he was more interested in photography. 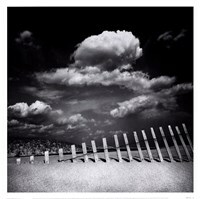 In the 1970s, he left writing and started a serious photography journey, working more as a fine art photographer. His works have been primarily on landscape photography have often been compared to the works of Robert Frost and Andrew Wyeth due to their simplicity. It’s this simplicity that has given his works complex meaning and widespread appeal. Calvo’s creative pieces are said to have revived the art of being alone. It holds some sort of silence and pain, although he also includes the beauty of nature and its colors in some of his works. "Romantic…almost abstract in its concentration on shape, tone and texture", that’s how Helen Harrison of The New York Times described his photography. 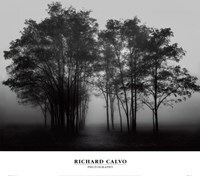 She also commented that "[Richard Calvo’s art] stretch the boundaries of visual perception beyond the straightforward." Calvo believes that the techniques he uses to express his art are very important. He says that each of his art pieces holds its own distinct personality. Now he travels around the world, taking beautiful pictures of different places as each piece of land has its own uniqueness. After capturing the images, he then adds his touch to them. 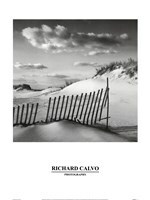 Calvo introduces his new artistic images every spring in limited editions. His works can be found a number of high profile galleries and collections.